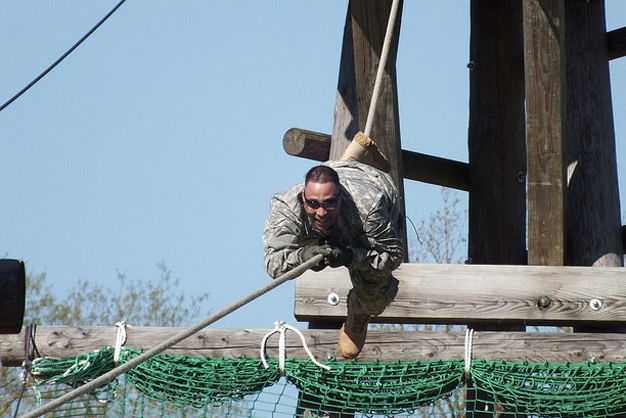 Soldiers of A Company, 412th Aviation Support Battalion, 12th Combat Aviation Brigade conducted confidence course training as part of their pre-deployment training, April 27, 2012. The event also helped to foster camaraderie, boost morale and build esprit de corps among soldiers before their upcoming deployment to Afghanistan. Photo by the US Army.